For the first time in the 160-year history of world’s fairs, the theme of Expo Milano will be food: “Feeding the Planet, Energy for Life.” From May 1 to October 31, 2015, welcoming 20 million visitors, this theme will unite 147 countries into action around the challenges and opportunities facing our global food system and the sustainable development of our planet. As we address the global challenge of feeding more than 9 billion people by 2050, what is the role of technology and innovation? From robotics to big data to GPS to the quantified self, food is the next technological frontier. But there's a difference between lifestyle toys for the connected and food security for the marginalized communities. Or is there? A consumer strategist at heart and an evangelist for values-based leadership Jeff Dunn has led companies large and small to growth through brand and marketing innovation. Jeff is currently President and Chief Carrot Officer of Bolthouse Farms, a California-based, fourth generation health and wellness company that provides consumers with fresh, healthy, food and beverage products. Bolthouse Farms has earned a position of market leadership thanks to a legacy of innovation and a strong commitment to making healthy foods and beverages more accessible, available and affordable. The company is currently North America’s leading processor and marketer of fresh carrots, as well as the leading provider of super-premium juice, smoothies and salad dressings. Mitchell Davis is the Executive Vice President of the James Beard Foundation, a cookbook author, a food journalist, and a scholar with a Ph.D. in Food Studies from New York University. With the Beard Foundation for 20 years, Davis has created and overseen many of the organization’s important initiatives, including the JBF Greens for “foodies under 40”; the non-profit’s popular five-week pop-up restaurant JBF LTD in Chelsea Market (2011); the annual JBF Food Conference, a national dialogue of thought leaders on sustainability and public health in the food system; and the JBF Chefs Boot Camp for Policy & Change. 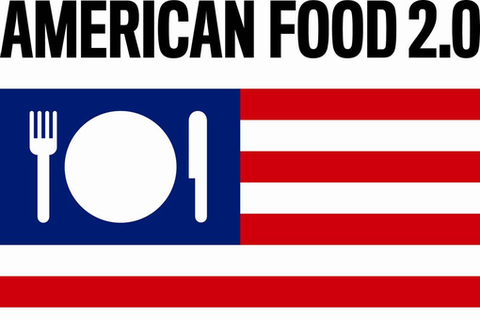 In 2013 Davis assembled and led the team that was selected by the U.S. Department of State to create the USA Pavilion at the World Expo Milano 2015, the theme of which is American Food 2.0.